I absolutely love games that let me build something, drive around and blow stuff up so I've been enjoying my time with TerraTech which is now out. 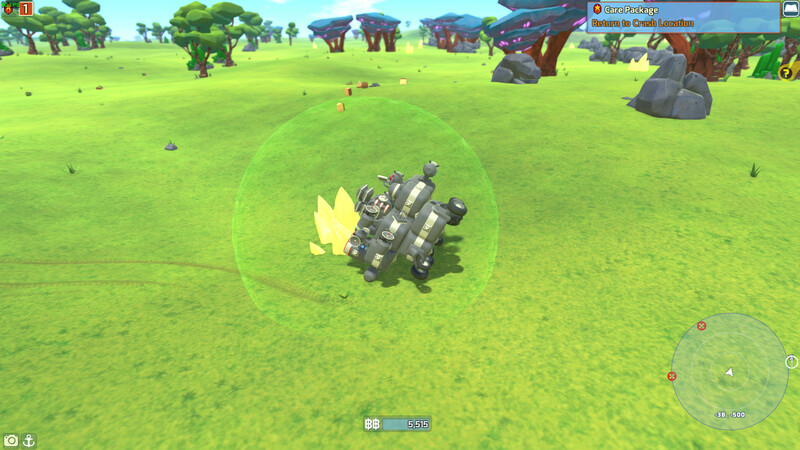 Unlike Robocraft, TerraTech isn't just about building a powerful vehicle and destroying everyone. While it does have a PvP multiplayer mode, the main dish is actually the open-world single-player environment. That's not all it has to offer, as it also has creative mode to do whatever you want, a sumo fighting mode and a gauntlet challenge mode as well. The good news is that this is only the beginning. Like a lot of "released" games, they plan to continue updating it! With a co-op creative mode, full gamepad support, improving some behaviours of the AI and eventually they will be moving onto a possible co-op campaign, better online PvP multiplayer, a proper in-game Blockpedia and so on. Read more about their future plans here. The building system is really easy to use, since blocks simply snap together like Lego. When you blow enemies up, they leave blocks laying around for you to pinch as well. What's also quite sweet, is that you build a base from similar blocks and when you want to move around, you pick them up and attach them to your vehicle and just drive away with them—I honestly thought that was a pretty awesome. Thankfully, you can just tap the B button to bring up the "build beam" and you can easily flip yourself the right away. I'm glad they're planning an in-game "Blockpedia", because it honestly feels like a pretty big omission for such a game. I was picking up plenty of blocks, attaching them and not having the faintest idea on what they did. Thankfully there is this which helps. There's a lot of little things that make me appreciate it, like the Trading Station literally spitting out blocks you buy or shooting resources up into space that you deliver to make a tidy profit. Enemies will run away when outmatched too, which is hilarious when chasing them as you grind them down to a block or two. Overall, it feels like a really fun game. I've already lost many hours to it and I can see myself happily continuing my journey. It has left not only "Early Access" but the GOG store as well. Alm888 It has left not only "Early Access" but the GOG store as well. This time it's not just bad for Linux users, but for all platforms. Quote This joint decision comes due to the fact that the developers will not be able to deliver the multiplayer mode that will be available on other platforms at launch. I wonder what exactly the issue is. A case of the developer not wanting to lock out Mac/Linux because Galaxy only supports Windows, Galaxy API being poor...or the developer not wanting to put in the time due to few sales on GOG? Leaves a lot of questions in my mind. "Pillars of Eternity II: Deadfire - The Beast of Winter" releases). And according to the database "TerraTech" never had a Linux build on GOG. So, most probably the conflict have arisen due to usage of Steamworks™ API for multiplayer and developers' unwillingness to replace it with Galaxy API (and to support two different API's at once), which otherwise is perfectly capable of Windows™ and MacOS™ multiplayer support. Yeah that is sad indeed. 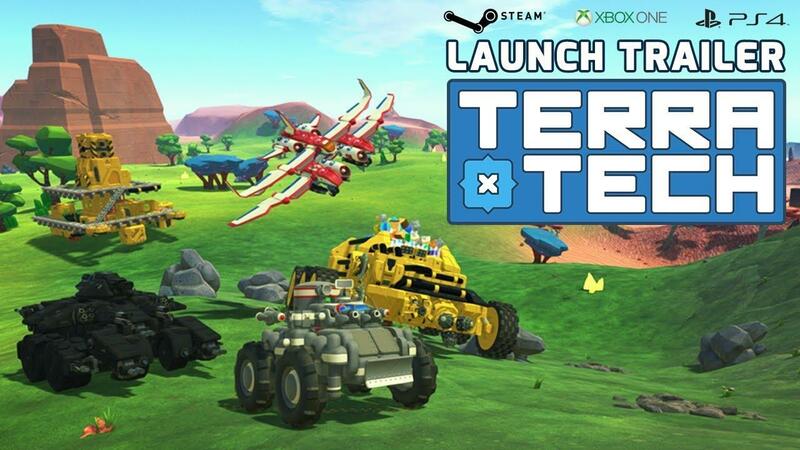 And to add injury to insult (yeah, in that order) for those who payed for the game "InDev", the wording "… all current owners of TerraTech via gog.com's GID program (or those that purchase before the 10th) will still receive the latest 1.0 update with all possible features, fixes and improvements." implies there will be no future versions for the game on GOG, only the base 1.0 release "as is". No refunds either. But the game uses DRM at steam release? x_wing But the game uses DRM at steam release? In order to even download the game you need Valve's proprietary client. So yes. All the games are a piece of proprietary software too, with your way of see things then GoG releases should be considered DRM software. If the game doesn't have DRM, you can download the game and play without worrying about the steam client status (in fact, you can use steamcmd for real DRM free games at steam). And that's where my questions points towards. Sorry, but I can`t see a disadvantage in the missing GOG support. I really don`t understand, that Linuxers buy at GOG. I have never heard of GOG (CDPR) doing anything for Linux. Have you heard of them paying Linux devs, or bringing any games (after witcher 2) to Linux? Is there a GOG Linuxclient? Do you think Cyberpunk will make its way to Linux?! I buy all my games for Linux on Steam. DRM free would be better, but what would Linuxgaming be without valve and what would it be without GOG? Linuxers should support the devs or companys that support Linux. IMHO GOG is not one of these. That was a bit too harsh to my liking. Firstly, CDPR and GOG (CD Projeckt Blue) are a bit more separate entities than you seem to think (AFAIK). About other saying that steamworks could be the problem; that might be true, but the networking part was open sourced by valve some time ago, so that might not be a problem. I just wish for more open communication. I think your points and questions are fair. I am personally not an all-or-nothing consumer generally speaking. I will buy at Newegg or Amazon or Steam or GoG or Humble or any hardware store, etc. I do have preferences, but those preferences don't always lead me to the same store. I steer toward Steam for games that I intend to play with my friends. It's great to have the Steam client keep our games at the same version so we don't have to relive old-fashioned LAN party problems. On the other hand, if I own a Steam game that I want my daughter to be able to play while I'm playing a different Steam game, she can't. When I think that situation is probable, I buy from GoG. Also, since I don't want her managing her own Steam account yet, dealing with another account and using Family Sharing is seriously inconvenient. Putting a GoG game on her computer makes it simple. Just play the dang thing like the offline consoles of old. Another situation where I buy from GoG is when I want to play an old Windows game in WINE. I find it much easier to take Steam out of the equation. In the end, I buy from either store depending on the game.